The SWAMP presentation on March 5, 2016 was well described in a report in the Valley Voice newspaper. Here is some excerpts from the article. “The Bosun Hall in New Denver was packed on March 5 for the ‘Secrets of the SWAMP Science Showcase’ presented by the Slocan Wetland Assessment and Monitoring Project (SWAMP). “SWAMP is a beautiful acronym for what we are doing,” said SWAMP steering committee member Richard Johnson. 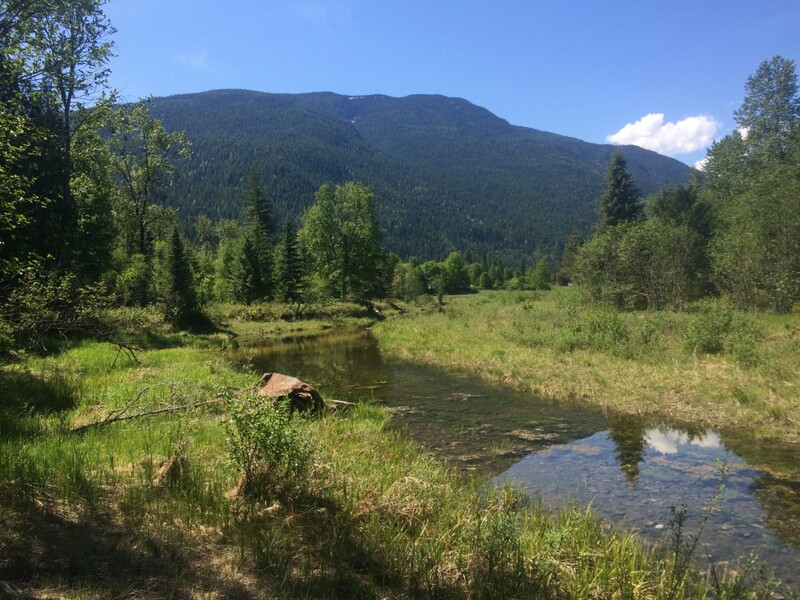 SWAMP’s field team has explored many wetlands in the Slocan Valley, categorized them, and assessed the flora and fauna in each. 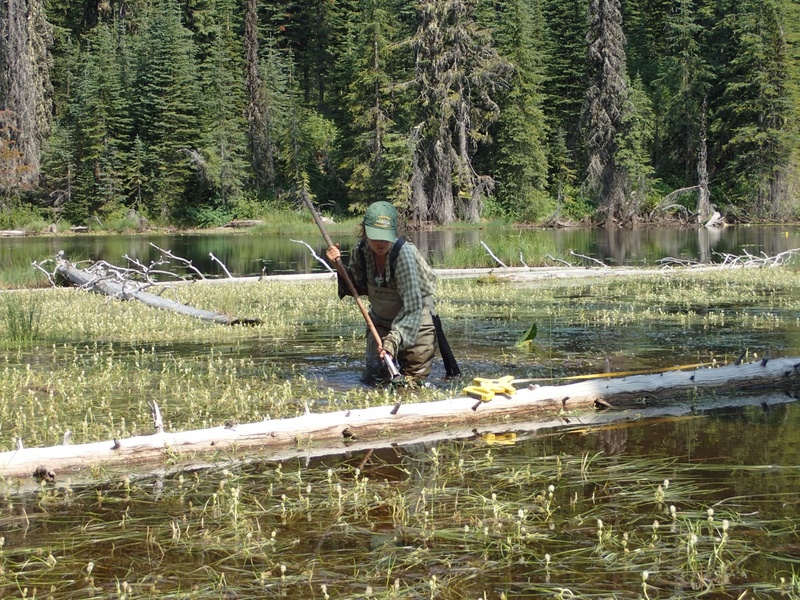 Ryan Durand, Slocan Valley biologist, manages the SWAMP field team and designed the project’s science parameters. He gave a slide show with fascinating photos of Slocan Valley wetlands, and the vegetation, insects, and other wildlife found in them. Darcie Quamme, aquatic ecologist on the SWAMP field team, spoke about her invertebrate and water quality research in Slocan Valley wetlands. 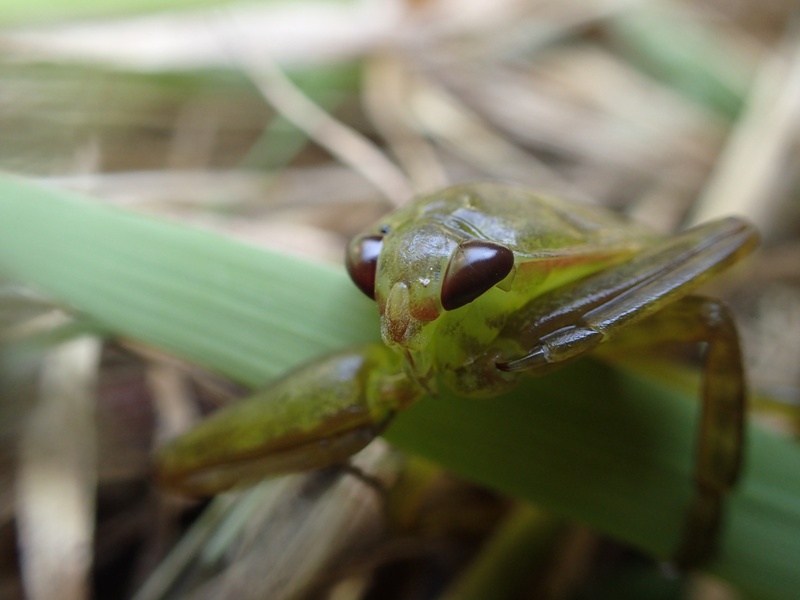 The main goal of invertebrate monitoring is to assess wetland health – has the wetland been affected by human activity such as mining, forestry, agriculture? 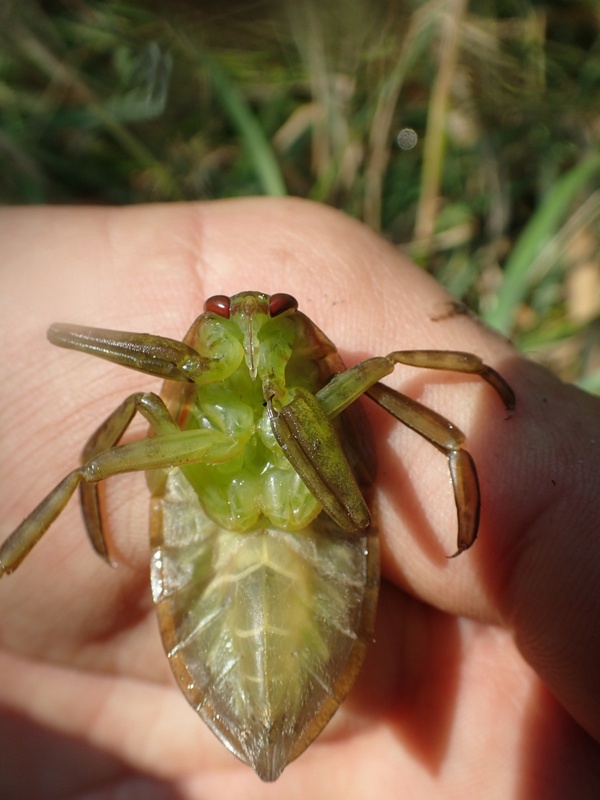 Invertebrates respond to a wide range of human stressors, so are good indicators of wetland health. 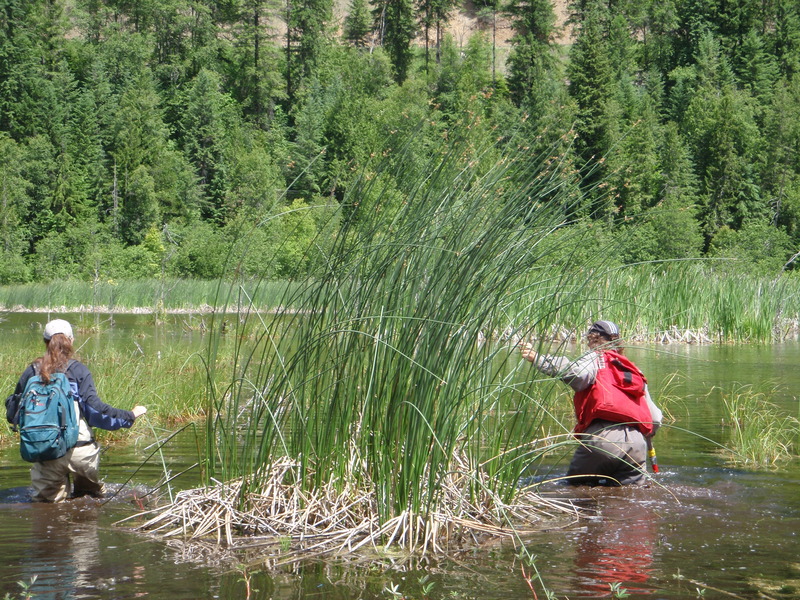 Quamme has sampled 24 wetlands to date, and has sent the samples to a taxonomist in Montana. The Royal BC Museum has agreed to house the collection in perpetuity. Our thanks to Walter Popoff, Area H representative, RDCK. 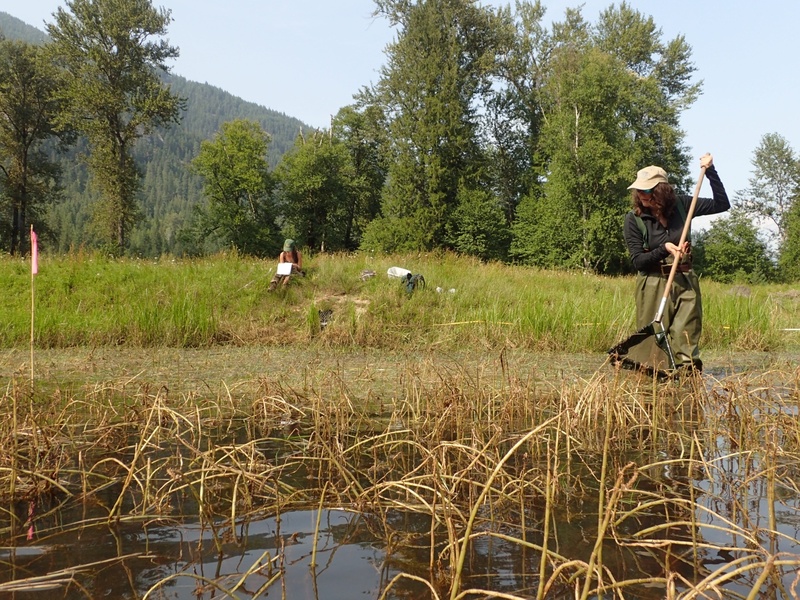 We also want to thank our other supporters who funded the studies: National Wetland Conservation Fund, Columbia Basin Trust, Fish and Wildlife Compensation Program, Regional District of Central Kootenay, BC Wildlife Federation and the Royal BC Museum. 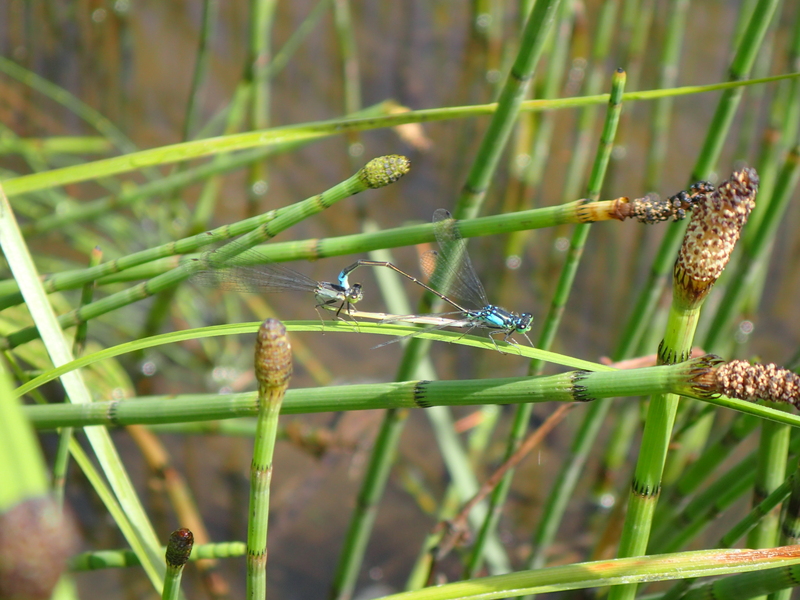 Over the last couple weeks we have been seeing large numbers of dragonflies and damselflies in the wetlands. 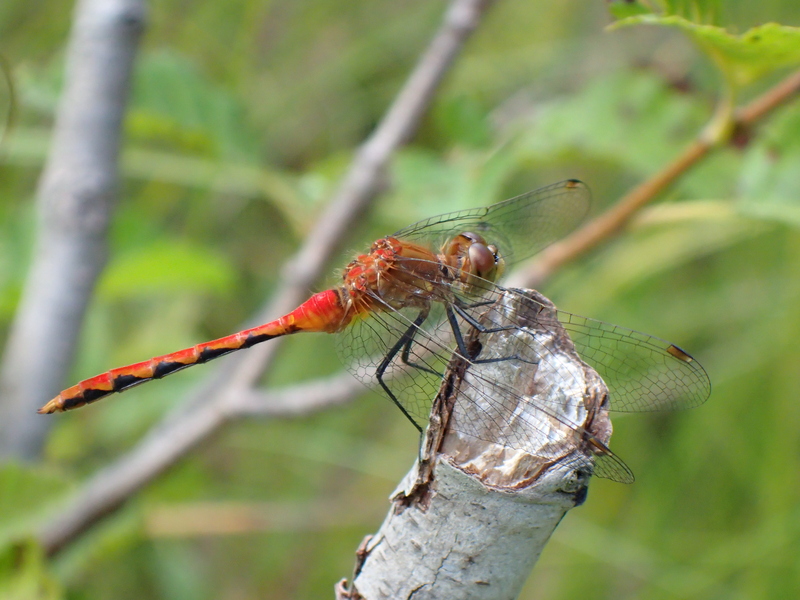 Members of the insect order Odonata, there are more than 5,000 species and 23 families worldwide. 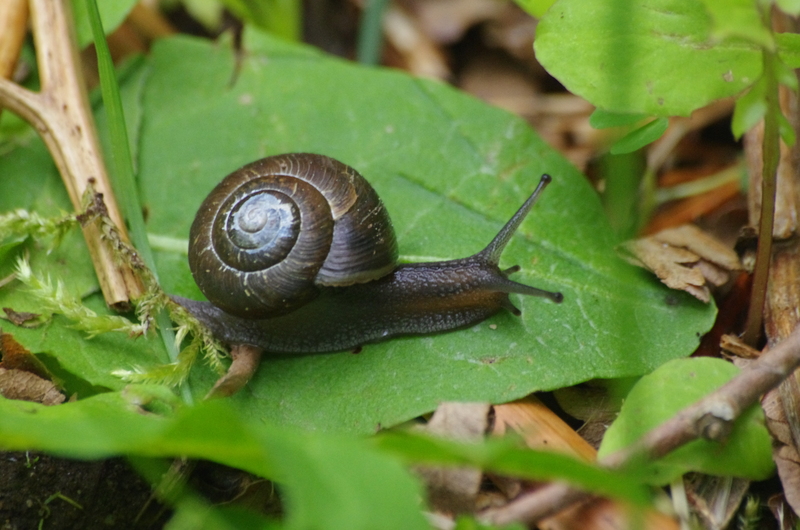 In BC, there are 87 species known to occur. 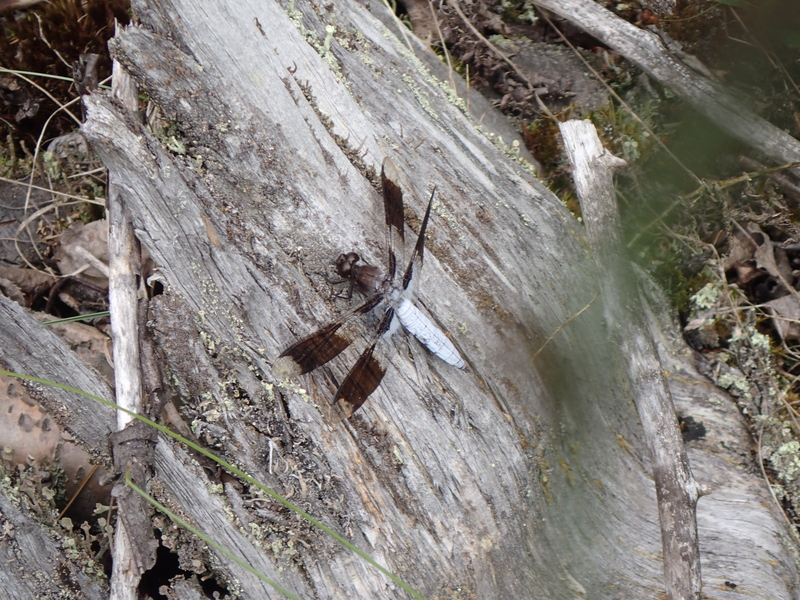 In general, dragonflies are larger, faster and most land with their wings spread. 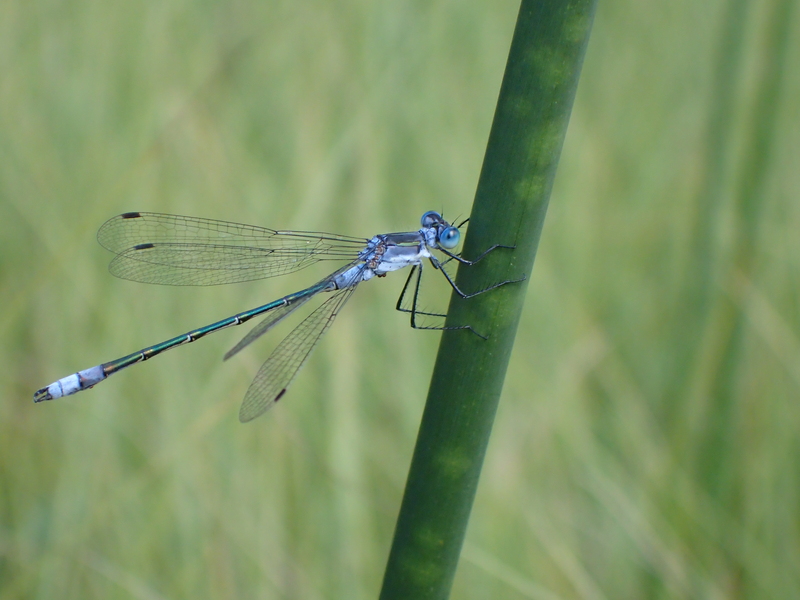 Damselflies are generally smaller, slower flying, and partially or fully close their wings when landing. Numerous incidental observations have resulted in the start of a decent species list, along with some great photos. Below are a few of the species observed so far. 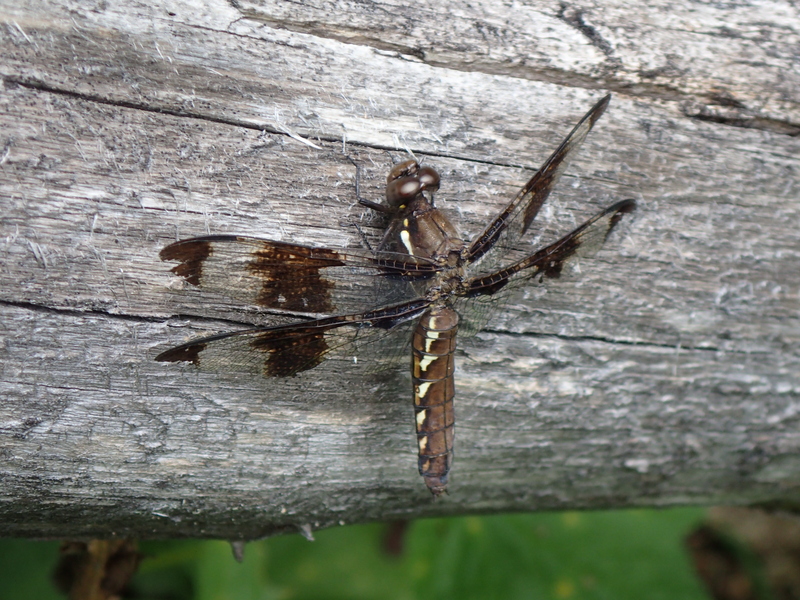 Female common whitetail (Plathemis lydi). Bluet (Enallagma sp.) – Potentially a Marsh Bluet. 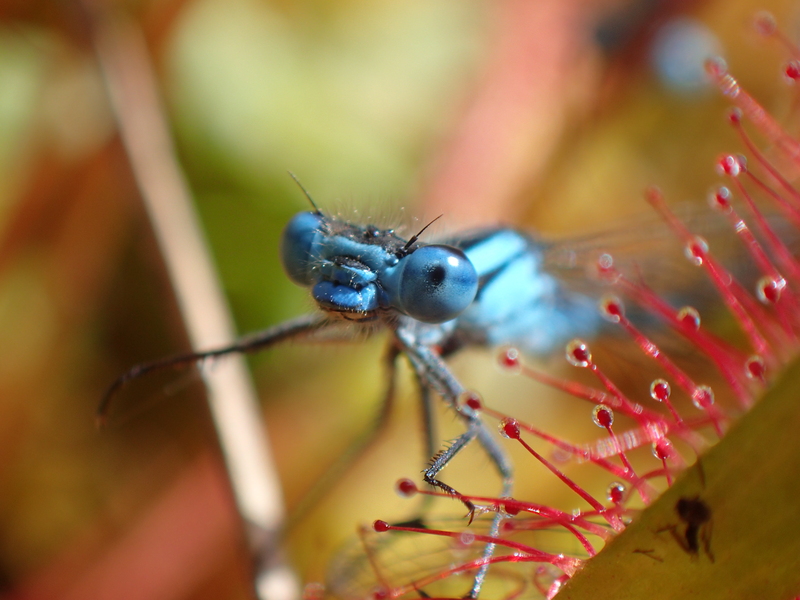 Close up of its face stuck on a sundew leaf. Mushrooms are often overlooked. They are exceedingly diverse, occupy a wide range of habitats and only appear for short periods of time throughout the year. There are not a lot of people looking for them and as such our knowledge of species distributions is lacking. SWAMP has provided an opportunity to expand our knowledge of mushrooms that are unique to wetlands. 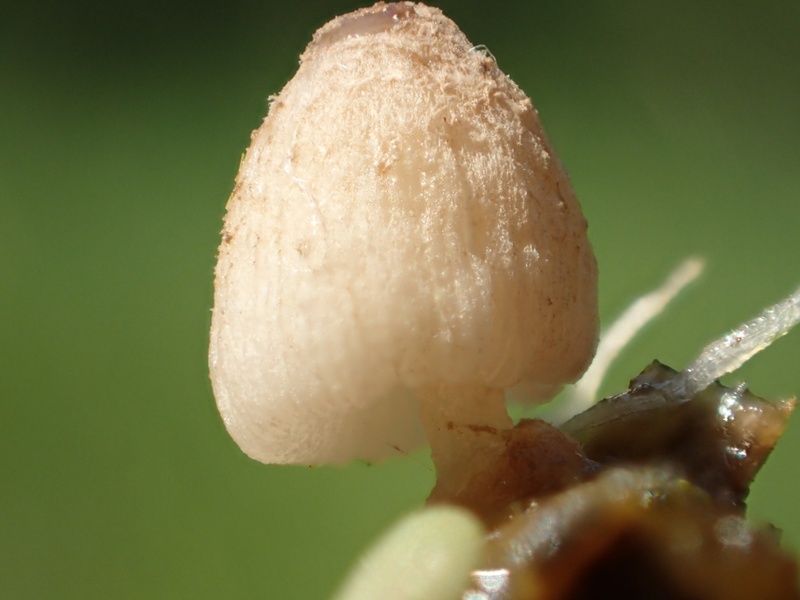 Psathyrella typhae is a little brown mushroom that makes its living decomposing the fronds of cat-tail (Typha latifolia) and sedges (Carex sp.). It fruits in the spring at the water level. 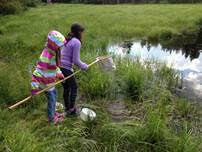 It has been found in three wetlands in the Slocan valley, Bonanza marsh and two sites near Winlaw. This is the first record for the species in BC. 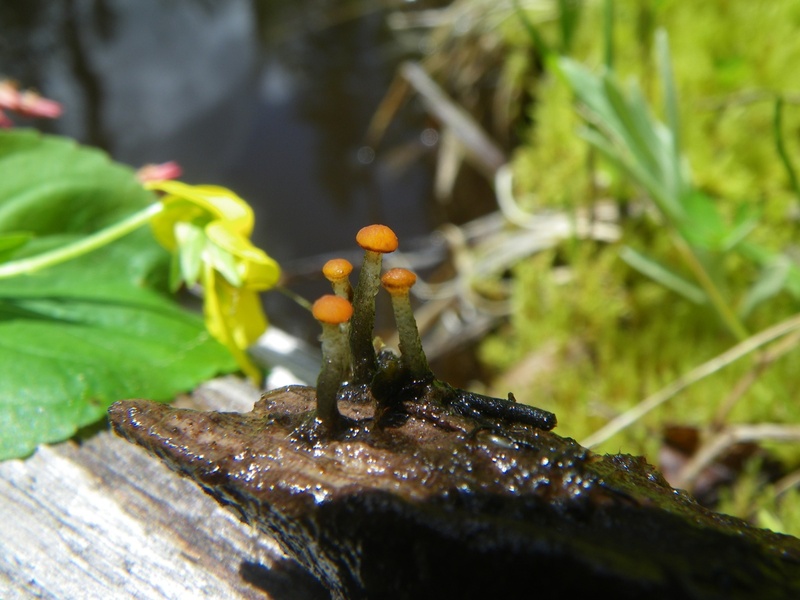 Vibrissea truncorum is a tiny orange aquatic ascomycete that has previously only been documented in BC from Vancouver Island. We found it at a high elevation swamp on Slocan Ridge. It fruits on wood under water in slow moving mountain streams. Lichenomphalia umbellifera is a basidio-lichen in which the mushroom is the reproductive stage of a fungus that is associated with a lichen. 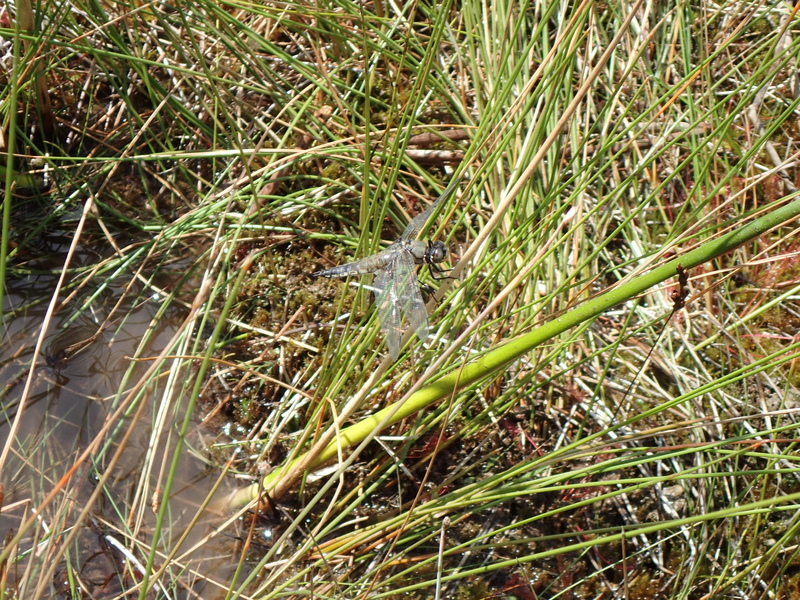 It is not necessarily exclusive to wetlands, though it has been turning up frequently in many of our sites. 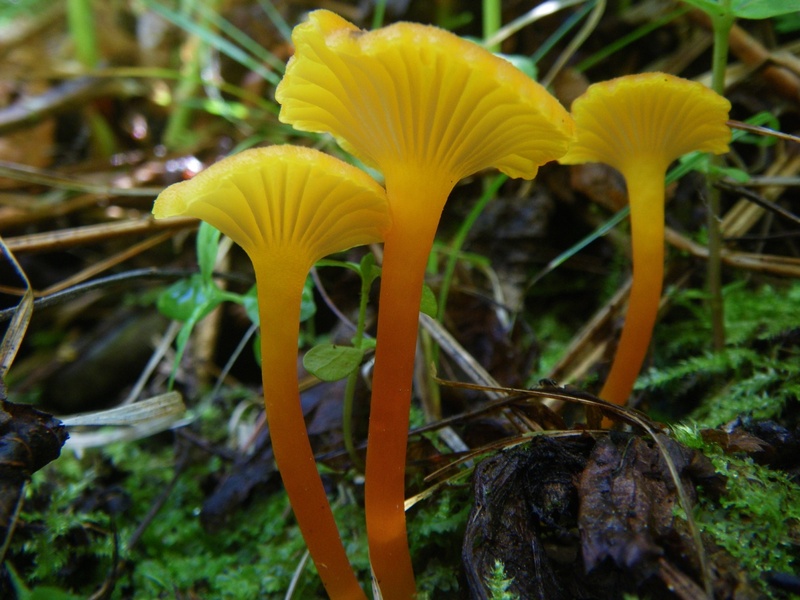 This colourful mushroom is a waxy cap in the genus Hygrocybe. Waxy caps are very numerous and notoriously difficult to identify to species. This might be Hygrocybe coccineacreata or a related species. 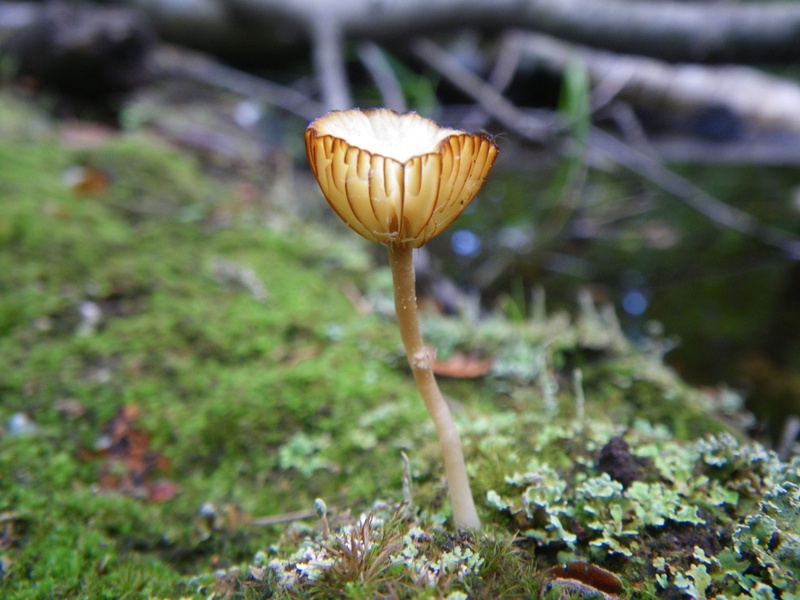 It was found fruiting on a small ‘island’ of vegetation in a swamp up in the Winlaw Creek Woodlot. This tiny mushroom was about .5 cm tall and found fruiting on a floating stem of reed-canary grass (Phalaris arundinacae). 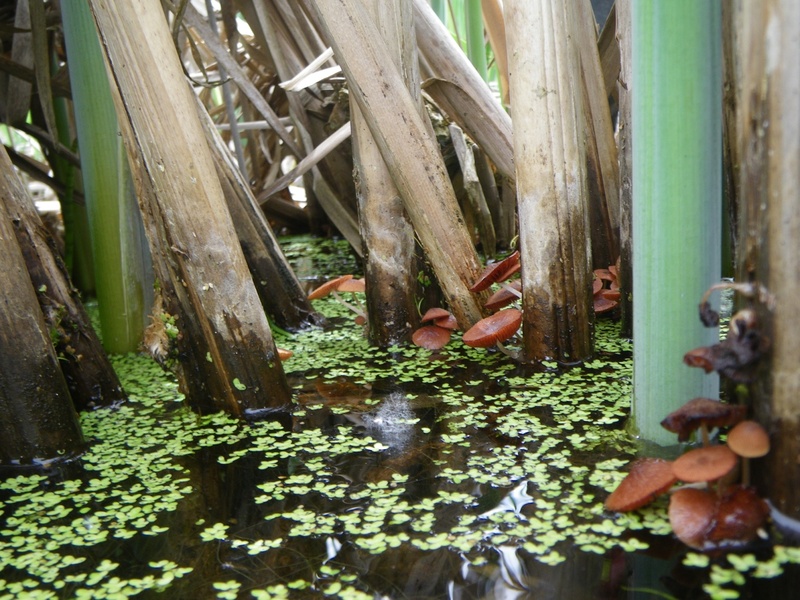 References for wetland fungi are scarce in general. 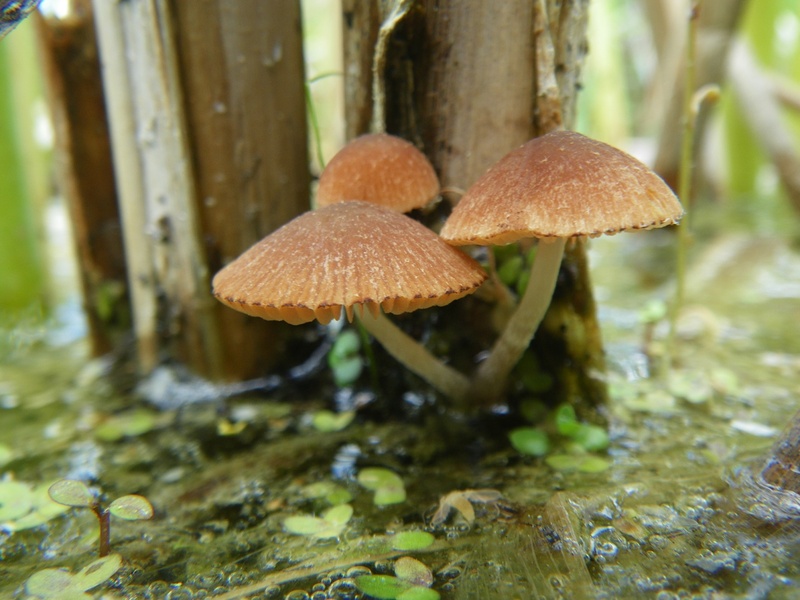 One of the most comprehensive inventories of wetland fungi in Canada was done in the early 1980’s by Scott Redhead, a prominent Canadian mycologist and research scientist at Agriculture and Agri-food Canada. REDHEAD, S. A. 1981. Agaricales on wetland Monocotyledoneae in Canada. Can. J. Bot. 59: 574-589. REDHEAD, S. A. 1984. Additional Agaricales on wetland Monocotyledoneae in Canada. Can. J. Bot. 62: 1844-1851. Tyson Ehlers is a local ecologist and mushroom expert who has been working in the field with the SWAMP team. He has recently co-authored a book: Mushrooms to Look for in the Kootenays. 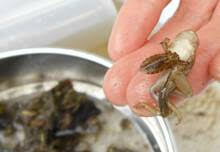 We have had a great start to the invertebrate component of SWAMP. 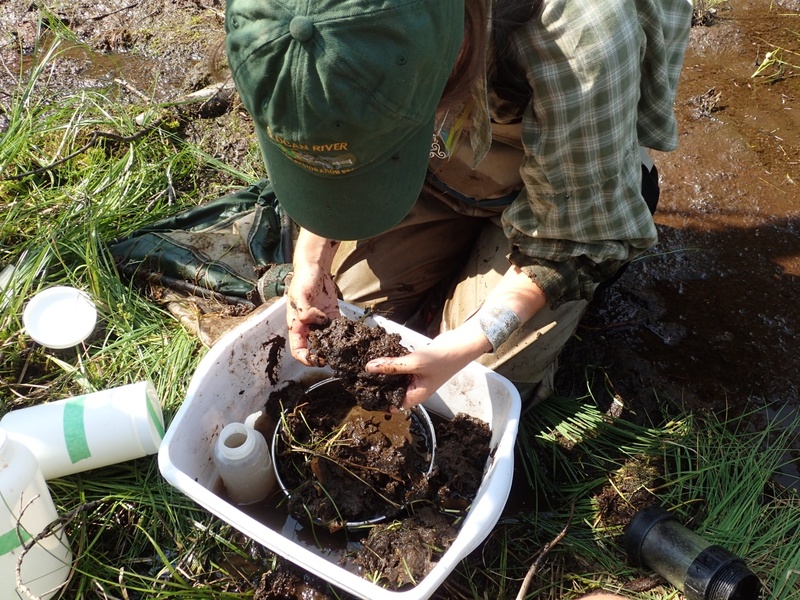 Darcie Quamme of Integrated Ecological Research, Rhia MacKenzie and Tysen Ehlers carried out the field assessment and benthic sampling for four sites including: Upper Winlaw (2 sites), Schneider’s cattail marsh, and a site near Fomi’s just off the Rails to Trails. Tyson and Ryan Durand have been a big help with the plant identifications and Rhia and Darcie are getting into the swing of things. We are excited to collect the water/sediment samples next week at these sites and continue benthic invertebrate collection at other sites including upper Pedro. 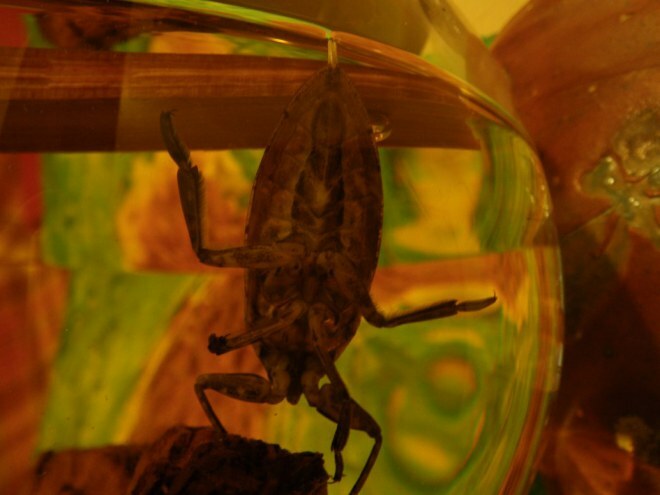 Visit our new page, Bioassessment to see what this is all about! Darcie Quamme also took South Nelson School out to Grohman Narrows Wetland for a morning of exploring wetland invertebrates. 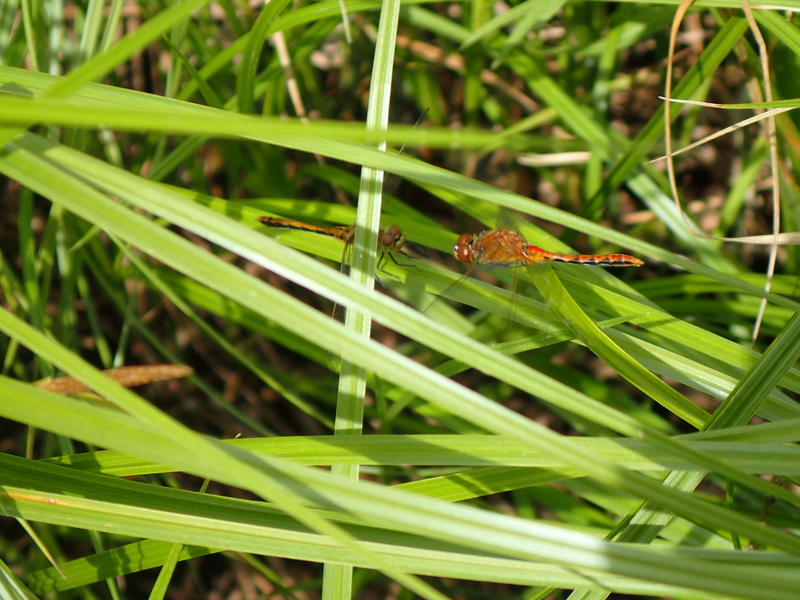 Highlights included observing long-toed salamander larvae, turtles, dragonflies, mayflies, damselflies, common backswimmers, and caddisflies that made cases out of wetland plants. 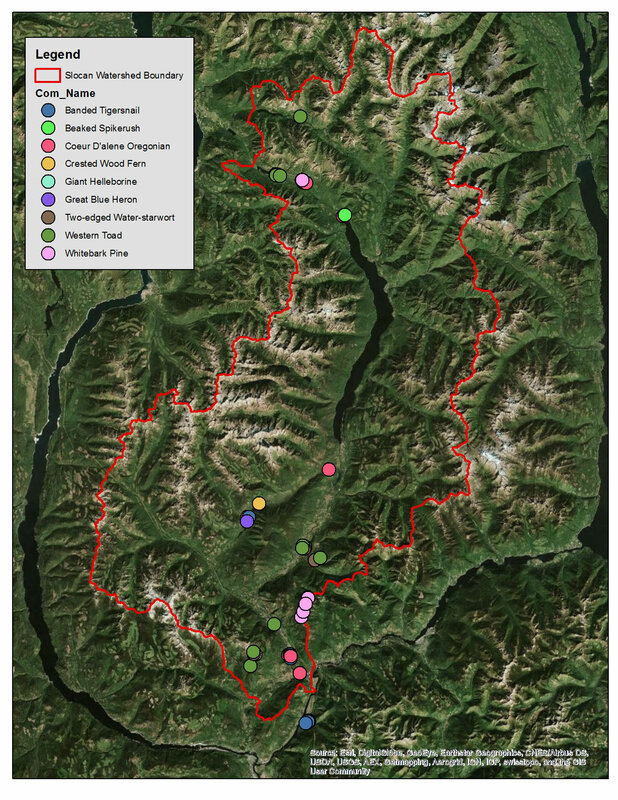 Data form – Outreach day at South Nelson. 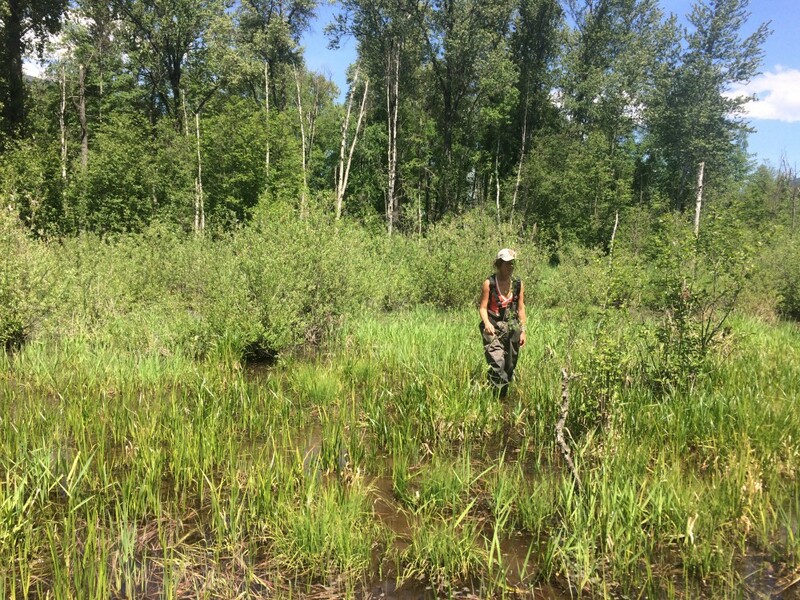 The SWAMP crew (Ryan Durand, Rhia MacKenzie, Tyson Ehlers, Marcy Mahr, and Darcie Quamme) has been hard at it, exploring wetlands from valley bottom to the sub-alpine. We’ve surveyed about 30 wetlands so far, documenting plant and animal species along with soils, hydrology and general conditions in each wetland we visit. 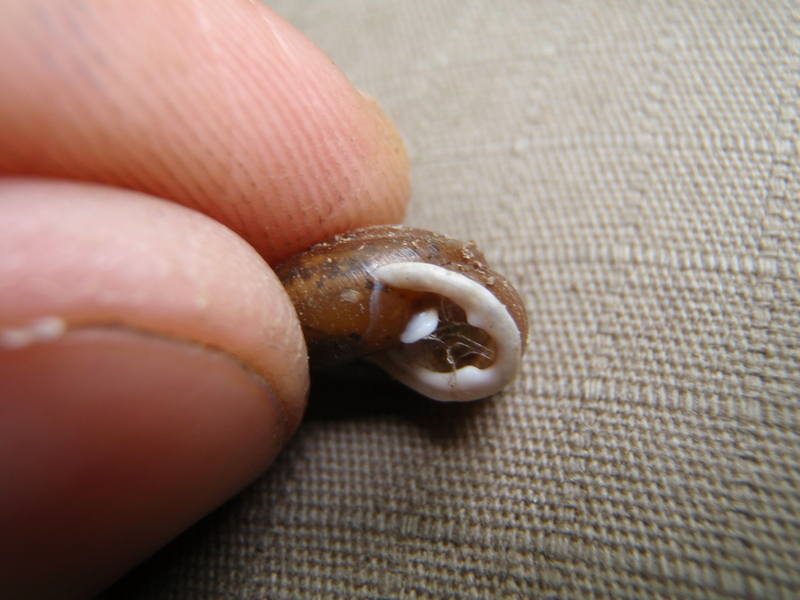 Along the way we found some really interesting species, and some new and exciting rare species as well. Large water-starwort (Callitriche heterophylla ssp. 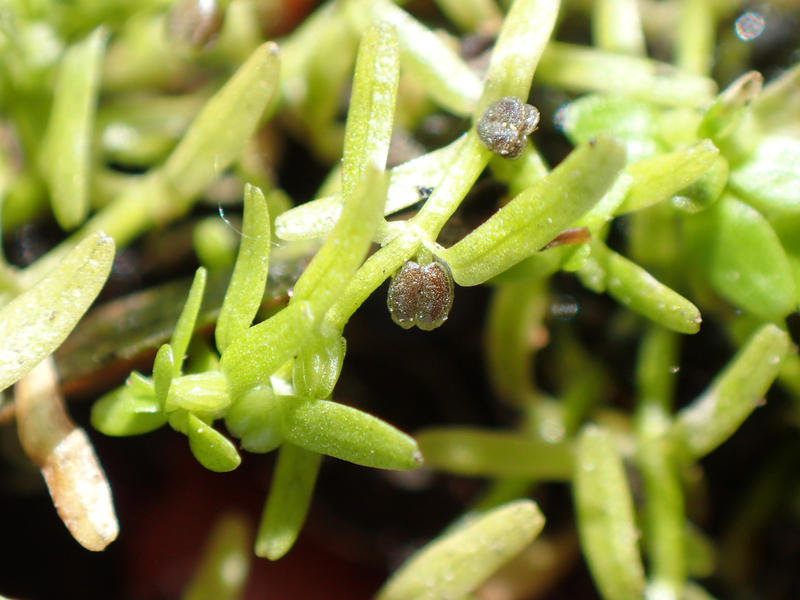 heterophylla) is a blue-listed aquatic to semi aquatic plant found in still, sluggish water such as ditches and ponds. There was an old record of this species from the 1970s in the valley, so it was great to confirm it in Appledale. Western toad (Anaxyrus boreas) is a blue-listed and special concern amphibian. 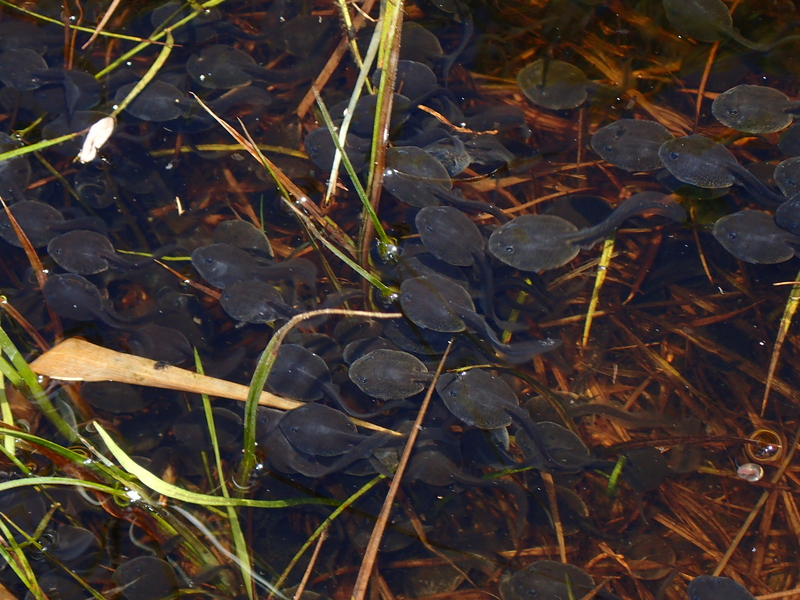 While it is well known to occur in the watershed, the SWAMP crew has found numerous occurrences of large breeding sites, where 10s or 100s of thousands of tadpoles were seen! One new rare wetland may have been found, but we need to re-visit it to confirm. 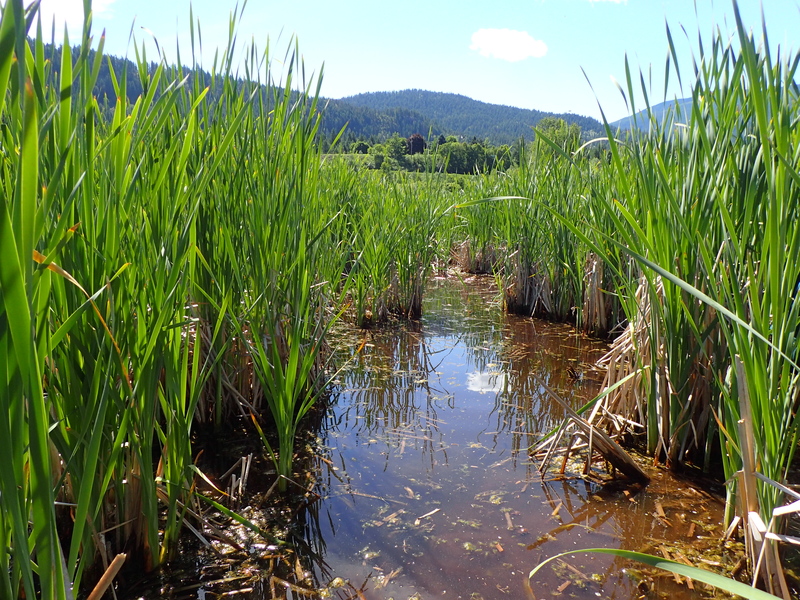 A blue-listed hard-stemmed bulrush deep marsh (Wm06) at the north end of Slocan Lake. 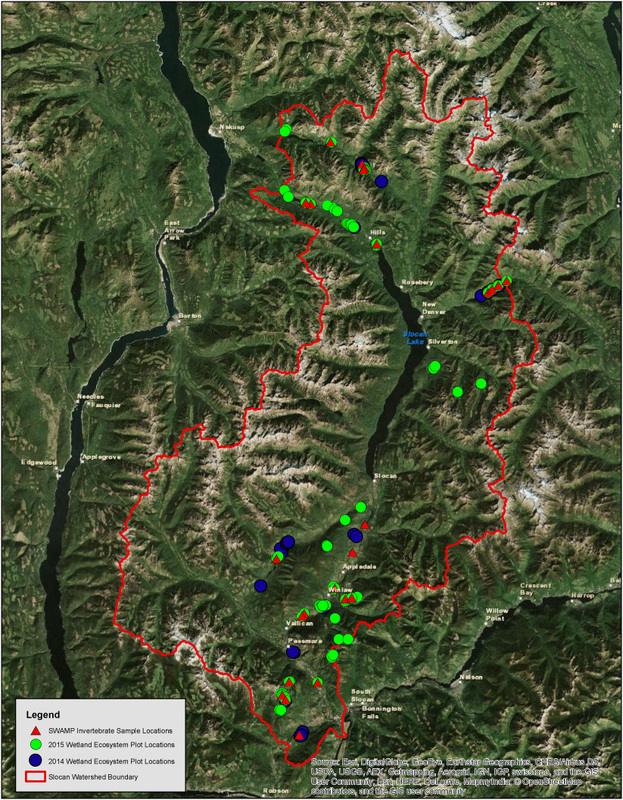 Multiple blue-listed cattail marshes (Wm05) have been mapped and inventories throughout the watershed. The SWAMP team was hard at it today exploring wetlands in the Pedro Creek area. We sampled a high bench and mid bench flooplain forest and a willow-alder swamp. We identified over 50 species of vascular plants, and have a pile in the office to ID using floras and a dissecting microscope. Of interest were several species of sedges (Carex sp.) that need to be keyed out in addition to several that were easy to ID in the field (Carex aurea, C. aquatilis, C. interior (? ), C. lenticularis var. limnophila, and C. utriculata) one Eleocharis sp. that has the potential to be a rare species, common mare’s-tail (Hippuris vulgaris) and a giant pin cherry! The cherry tree was over 15 metres tall and had a diameter of 25cm. It was great to get out and put in the first plots of the 2015 season, and to beat floodwaters and mosquitoes!